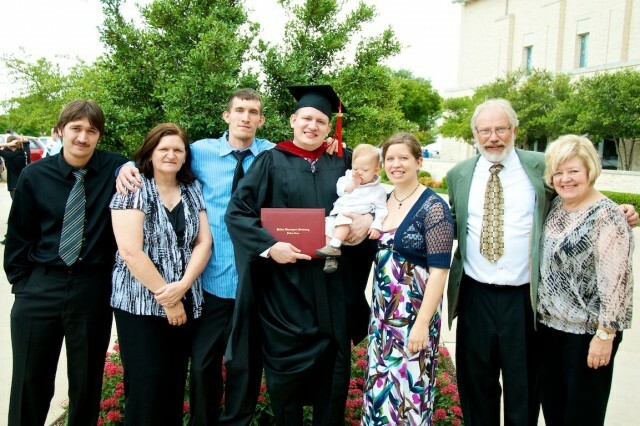 From Gold Chain To Seminary Degree, The Backstory of "Noah's Dad"
This post is going to be a little different than usual, but today’s video marks such a significant event in my life that I thought I’d share with you guys, and in doing so share a little bit about my story before becoming Noahs Dad. The story behind the story so to speak. So I hope you’ll accept my apologize for Noah only being in about 3 seconds of today’s video. However, I included lots of pictures from our weekend to make up for it. And don’t worry, tomorrow’s video will be jammed packed with lots of Noah cuteness. At the pre-graduation ho-down. 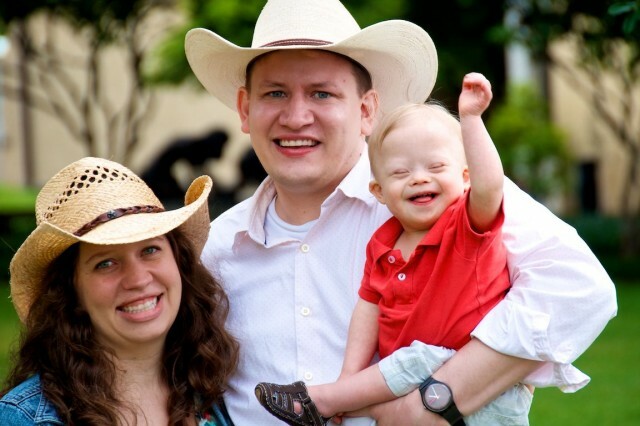 Noah isn’t a big fan of cowboy hats. Those moments you think will never happen….sometimes do. Sometimes in our life there are moments that we think will never happen. They seem so far off. So impossible. So unlikely to ever happen to you that when they do, it’s almost unbelievable. Like you’re watching a character play you in a movie, doing what you wish you were doing. Then you realize it’s real. The event really happened. It really is you doing something you had only dreamed of doing. That’s what today was like for me. I’ll save you the long back story, but let me just say this; 15 years ago no one (especially myself!) 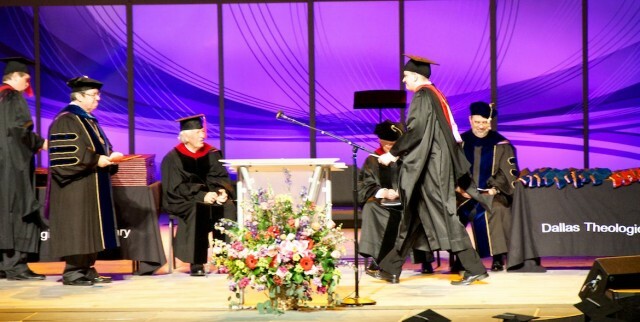 would have ever thought that I’d one day be receiving a Master’s degree, much less a Master’s of Theology Degree from Dallas Theological Seminary. But after a five very long years it happened. And I seriously can’t believe it. Today as I walked across that stage I was once again reminded that God is faithful. And He can do things in and through your life that you never thought possible. It’s amazing. And I’m humbled. It’s real! I really did it! Woot! For those of you who only know me as “Noah’s Dad” l wanted to take this opportunity to share a little bit of my story with you. If you have any questions about any of the stuff I talk about in today’s post, feel free to ask them in the comments. I don’t mind at all. If you’ve been following our story the last 22 months then you probably already knew I went to seminary, but if not, now you do. Hopefully we can still be friends. 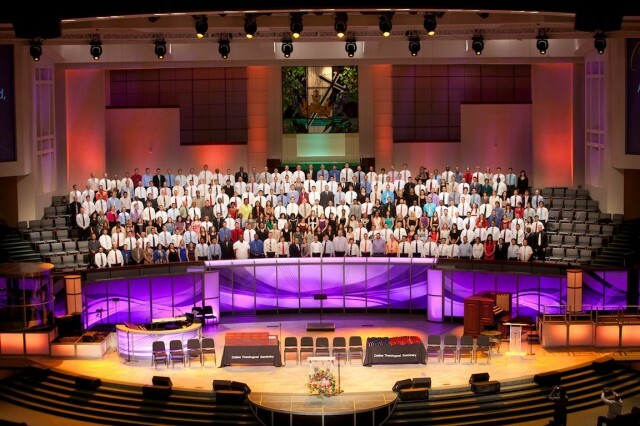 Why I Went To Seminary? (or) How A Cool Preacher Changed My Life. About 15 years ago I slipped into the back of a large young adult Bible study. There was a guy preaching name Todd Wagner. I had heard a lot of preachers in my life, but none of them sounded anything like this guy. He was authentic. He was honest. He was cool! No offense, but most of the preachers I had seen on tv looked like the kind of guys who got picked on (a lot) growing up. (And they all had those awkward “evangelist’s haircuts.) Not this guy. He actually looked, and dressed, cool. 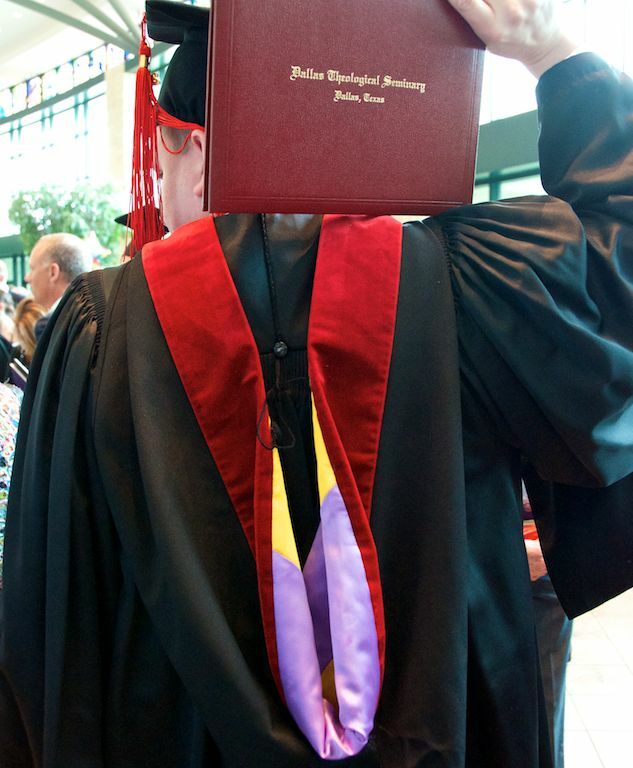 I know it sounds pretty superficial, but realizing that pastors could be cool (read: normal) was a turning point for me. Two of my favorite people, Noah and Todd! I remember thinking to myself that someway, somehow I would learn to communicate the Bible like Todd. 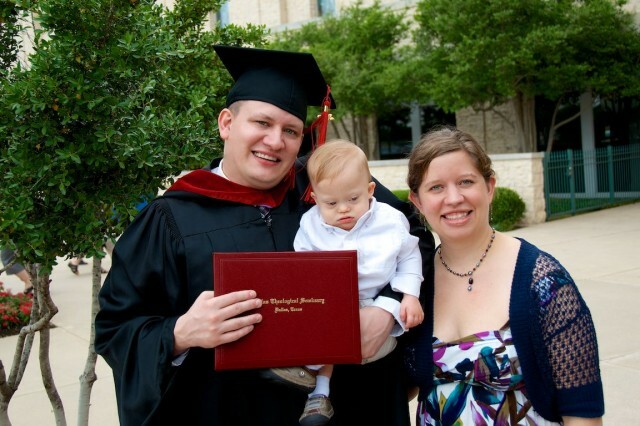 I found out he went to Dallas Theological Seminary (DTS) and I wanted to go there also. I was an 18 year old kid, so I didn’t know much, but I knew I had to do whatever it took to go there so that maybe I could learn to talk about the Bible that way he did. Turns out 15 years later, I actually would attend DTS. But man, it seemed so far off. I didn’t even have a high school diploma! 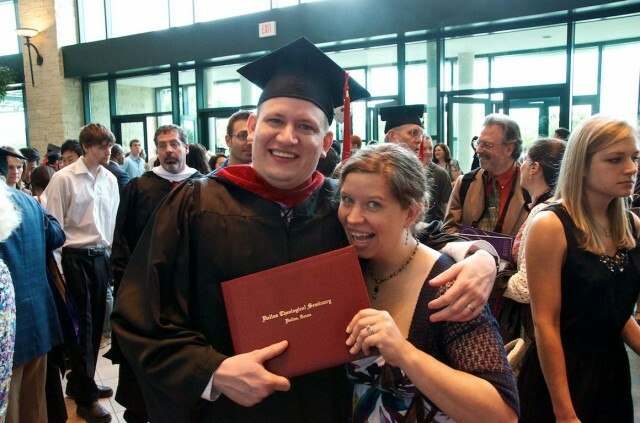 How the heck was I ever going to get my Master’s degree ? And I needed to work on getting these braces (and my gold chain) off first! 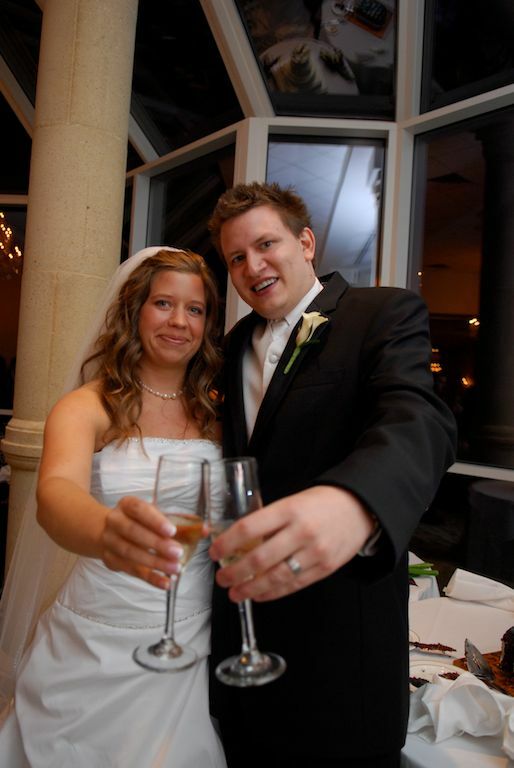 My wife (almost) married a thug! Oh man….ha,ha. Todd, thanks for investing in my life all those years ago (and for continuing to do so today.) Thanks for showing me a “different” kind of Christian. And thanks for your faithfulness as a pastor, friend, and follower of Christ. I can never repay you for all the ways your friendship, love, and Biblical teaching have shaped and guided my life forever. Thank you. By the way to all my friends reading this blog post, if you enjoy hearing life changing messages I encourage you to check out some of Todd’s sermons and our weekly video podcast, Real Truth. Real Quick. (That’s right, I actually work with that same friend, Todd these days, 17 years later. God’s pretty cool, huh?) I think you’ll see why I speak so highly of him. And if you aren’t plugged into to a good church you can even watch Watermark’s services live and free online anywhere in the world! So be sure to check it out. I lost the braces. And grew up. Let’s just say a lot of things happened in my life over that that next decade that God would use to eventually get me to DTS. I met one of the most loving, gracious, and encouraging people I’d ever meet, my wife. She believed in me. And my dream. She saw things in me that no one else did. And she loved me. A lot. I don’t think anyone else (including myself) ever thought I’d actually make it to DTS. 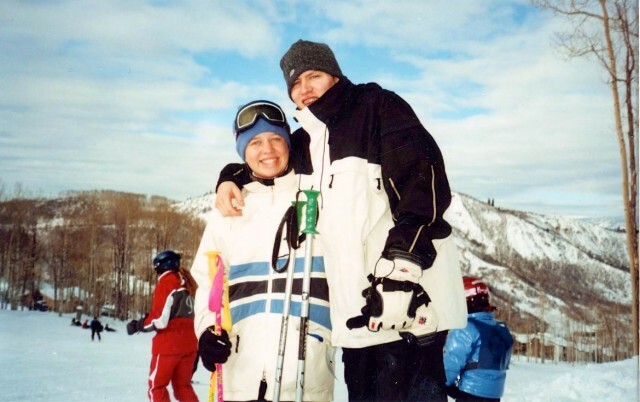 She ALWAYS believed in me…even when I didn’t believe in myself. 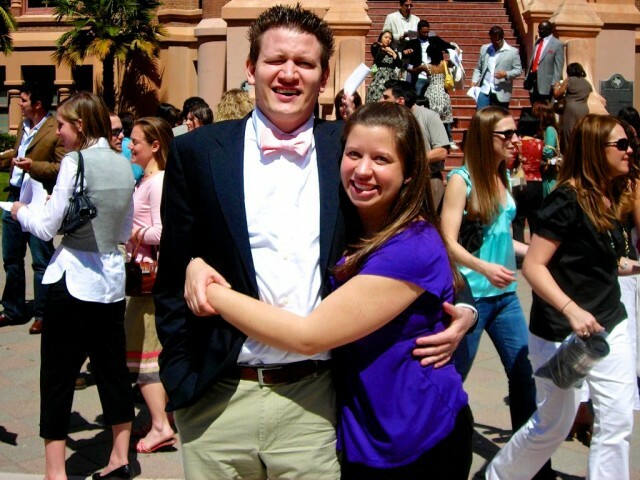 I love this girl! I had to first go to undergrad. (And do well enough to somehow get accepted into graduate school.) I moved to Houston to attend the University of Houston (Go Coogs!) moved in with some guys that would become some of my closest friends, and got involved with a church that God would use to transform me. 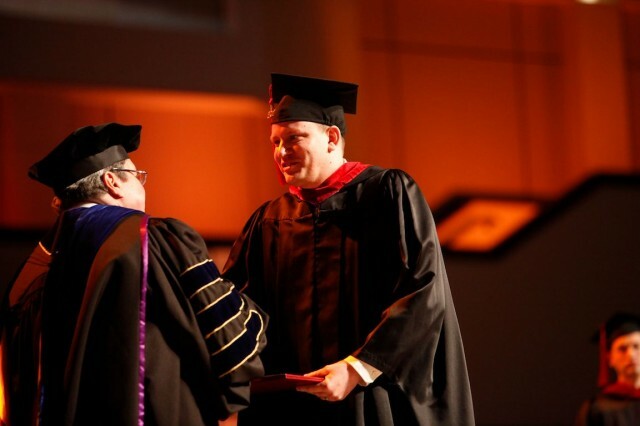 I graduated with a bachelors degree in corporate communication. She was right by my side here too! 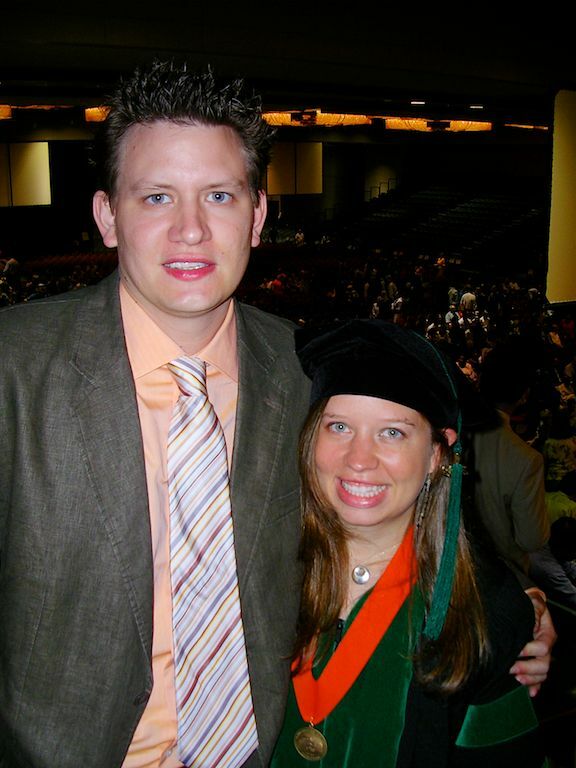 My wife graduated from medical school. 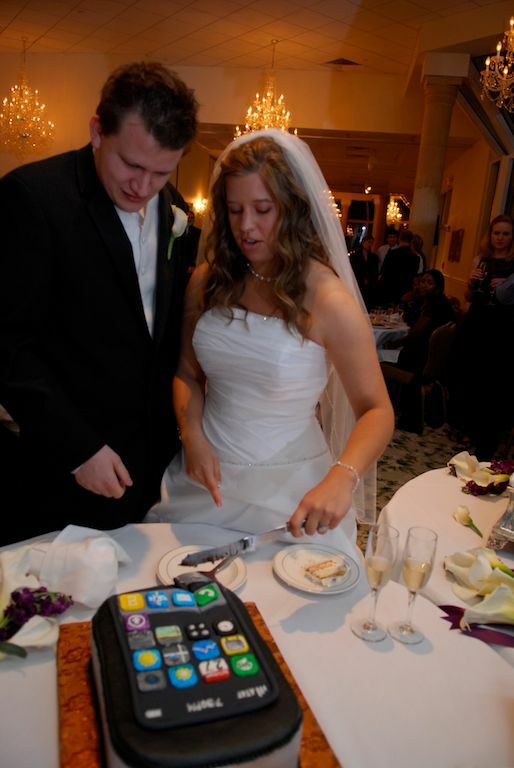 I had an iPhone grooms’s cake before many people even knew what an iPhone was. Yes, I’m a geek. 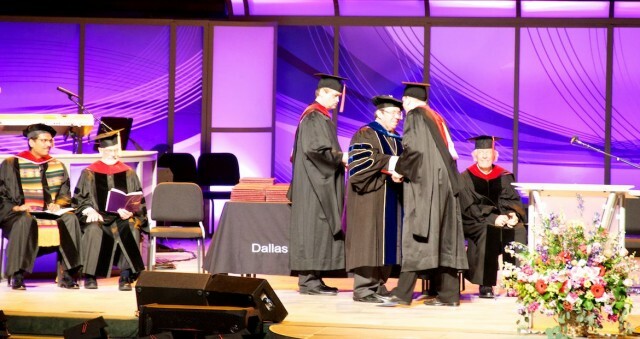 I got accepted into Dallas Theological Seminary (another miracle.) My wife got accepted into the residency program she wanted to be in, also in Dallas. My wife finished her residency program. We had an amazing (and adorably cute) son. Our son had lots of surprises in store for us. Every Story Has It’s Challenges…. Life’s not all rainbows and bunnies…. As I was writing this post and reflecting on the last 15 years of my life I was reminded of God’s faithfulness and grace throughout it. I faced some pretty big challenges in my story, and God allowed me to overcome them. Many of the challenges I faced I brought upon myself, but some I had no control over; they were the sort of challenges we all face. But again, I look back over the last 15 years of life with a heart full of praise as I think about how God guided and shaped my life through all of these circumstances. Lost my grandmother to cancer. My dad (who I hadn’t spoken with in almost a decade, but planned on doing at some point) died before I had chance to talk to him. Here’s a letter I “wrote to him” after his death. We thought our son was having seizures. We thought our son had leukemia. Man. It’s been one heck of a journey. That’s for sure. But the truth of the matter is struggles aren’t unique to me and my family. We aren’t the only ones who have faced challenges recently, and honestly our struggles pale in comparison to some of the struggles that others are going through. The bottom line is we all go through challenges. It’s part of life. The question isn’t will you go through challenges / hardships / surprises in life. You will. The question is how will you respond to life’s challenges when they come your way? …in this life fear is going to constantly be knocking at your door. And every time it does it’s up to you to decide you will win; fear, or truth. And in this house we’ve made a decision that fear doesn’t win in this house, God does. I encourage you to make the same decision. It isn’t always easy. But I’ll promise you that 100 out of 100 times hope is always better than fear. Always. …And Every Challenge Teaches Us Something. 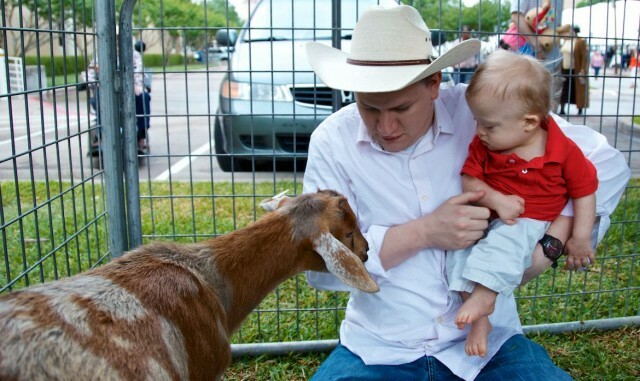 Sometimes you have to meet a goat before you realize you don’t like them. If you’ve stuck with me this long, thank you! As I mentioned about one thousand three hundred words ago, today’s post is a little different than others. I hope you didn’t mind. I just wanted to take this opportunity to share a little bit more about my story with you. We’ll be back tomorrow with more epic Noah cuteness. But before I end this (super long) post I wanted to share a few nuggets of truth with you as a take away. Sort of a moral to my story in progress. Make time to invest in the lives of other people. When it looks like the odds are against you, watch out, because God REALLY likes bad odds. God’s plan for your life is probably much different, and certainly much better, than you ever could have imagined. Telling someone you believe in them is a much bigger deal to them than it is to you. Take time to encourage someone today. It only takes you a few minutes, they may never forget it. You have no idea what God is capable of doing in and through your life. Friendships and relationships matter.You aren’t meant to live in isolation. Find people who are sold out for the things that really matter in life and hang out with them as much as you can. Who you date and marry matter. A lot. Each of us are only one phone call / conversation / Doctor’s visit away from news that could change the entire course and direction of our life. Not all preachers have to dress dorky and have funny looking hair. We will all face challenges in life. And when we do we have a choice to choose fear or truth. Choose truth. In the long run, God always wins. Greek and Hebrew are hard. Avoid it at all costs. Unless you’re trying to earn a ThM. In that case, find a really good tutor. Thanks for letting me have a chance to share a little of my story with you. 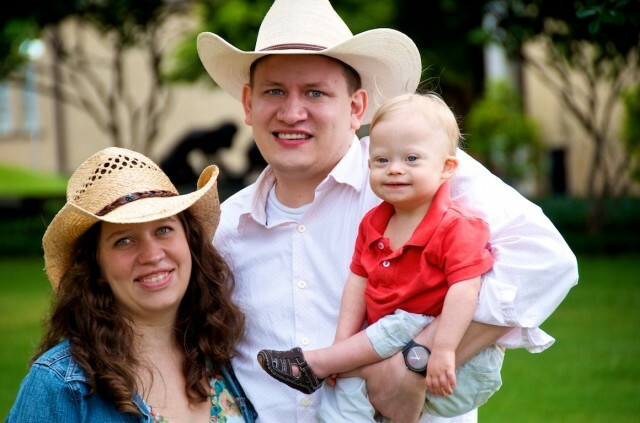 It’s so much fun sharing our son’s story with you and getting the chance to learn more about yours as well! Noah’s not all that impressed…. Many of those same people have sent me kind messages in the past, commented on our blog, etc. It surprises (and hurts) me that people can be so quick to write someone off simply because they are Christian. I have lots of friends who aren’t Christians and their relationships mean a lot to me. I hope those of you who aren’t Christians know me well enough to know I’m a pretty normal guy. (Ok, maybe normal’s not the right, but you get the idea.) I hope that you don’t tune me out or stop being my friend just because I talk about God. I promise, if you give me a chance you may find out that I’m not like some of the other Christians you may have met. Oh, And if you’re one of those preachers with weird hair…I’m sorry, but you and I can’t be friends. At least not until you get a haircut. The biggest life lesson I’ve ever learned is that I would be nothing without the saving and transforming power of Jesus Christ in my life. Every bit of kindness, goodness, joy, love, etc that you see in me is a direct result of my relationship with God through Jesus Christ. He has completely changed my life. I once was lost, isolated, living life with no purpose or direction, and worse of all had no idea the joy that could only be found in a relationship with Jesus Christ. If you don’t know Him, or have questions about Him, I’d love to answer them. Feel free to leave a comment below. Wow! Just taking the time tonight to backtrack through your blog. Our 4th little boy has DS and is now almost 14 months old! I found your blog sometime earlier this year, but wanted to read more about y’all and was able to tonight. No idea if you will see this, since its almost a year after you posted, but I love this post! I believe 100% everything you mentioned and am so thankful for your witness to others! I love that you are spreading our faith and that your family’s life is reaching so many others! Thank you for encouraging your readers in so many facets of life! Congrats to you on your degree, your upcoming new addition and your awesome Noah and fam! Well, I really enjoyed this post and I love seeing all the pictures of Noah usually. You said to write one dream that seems impossible… so here goes nothing! My dream is to someday have a second chance at having a family the way that I imagined. You see, I spent my twenties invested in one relationship that didn’t work out and then another and another. I invested all my time in someone outside of myself instead of in me and in my relationship with God. So, after having my heart broken one too many times, I met a guy who promised the moon and stars and who I thought I loved (at least I loved who I thought he was) and we got married after only six weeks. I thought that it was too good to be true and we conceived a child almost immediately. I was overjoyed, but very soon after, this guy of my dreams started to become abusive. I don’t want to bore you with all the details or give you a sob story so I’ll cut to the chase. My daughter is the best thing in the entire world. She is two now and I am divorced. My ex-husband (I cringe at that in so many ways) turned out to be of the worst moral fiber that you can imagine. I am raising my daughter alone and her father is not in her life whatsoever, not that I want him to be because he has put her in harms way on a few occasions. I am putting myself through nursing school with help from family and financial aid and it is hard. My dream is to have a father for my daughter who is also my husband who loves her like his own. A home. A happy family. I realize that I contributed to this situation by not getting to know who I was marrying well enough, but I was thinking that it was finally what I had waited all these years for. I don’t want my daughter to have to suffer for it. Now, I know you were probably looking for dreams of people, as in GOALS that they are in control of. My dream is sort of left in God’s hands because my priority now is parenting and my degree and career, not looking for romantic love. But, that’s my dream. You asked! I hope that this doesn’t come across as pathetic or that I got what I deserved, because if you has known me before all this, I was the one who people would have least expected to wind up in this position. It’s not like I intentionally had more than one relationship. In fact, my first love I would have stayed for for the rest of my life had he been so inclined. One bad heartbreak turned into loneliness that I thought would eat me alive and I began looking for someone to fill this big empty void that I had. That I probably had since I was a little kid when my parents separated. Now I just feel like I have ruined my chances forever of finding true contentment in this life and also ruined my daughter’s chance of having a mommy and daddy who are both invested in her. I’m sad for her all the time and I’m sad for me too. At the least, can you say a prayer for us? Than you. I would like to be friends casey,if you would like a new friendship,touched by your comments. I felt when I was reading your dream that I was in fact reading my own story, with a few differences, but I can truly say, Been there done that and I know exactly how you must feel. “Let Go and Let God” also read Jeremiah 29-11. Please do these 2 things, because God always answers our prayers, only thing is sometimes His time is not our time, My story has a very happy ending so you hang in there girl. 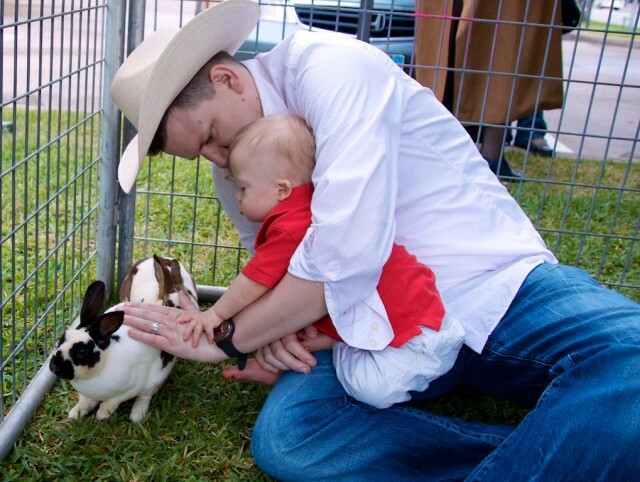 I was married and had 4 children when after 13 years I realized I couldn’t go on. I was divorced, due to certain circumstances the judge decided to split the children. The 2 youngest to stay with me, the 2 older to stay with their father. When I phoned my 2 older children the night of our divorce,he was out celebrating his freedom and my children were alone, my 2nd child a girl was crying her eyes out and, I will never forget until my dying day what she said to me, “Mommy what have I ever done to you? Why didn’t you choose me?” she was +- 12 at the time, and my then ex went home and told them I had chosen the 2 younger children and didn’t want them. What a Lie, the decision had been the court’s not mine. I then made up my mind come hell or high water I would get my 2 older children back. When I first tried, because I didn’t have my own home etc., and I was single, he had remarried by this time, I didn’t stand a chance. So I set out to find a father for my children more than a husband for myself. My 2nd marriage was almost like an agreement, he had a steady job and a home, also he loved my children as his own and knew my story. To cut a long story short we married and I won back custody of all my children. 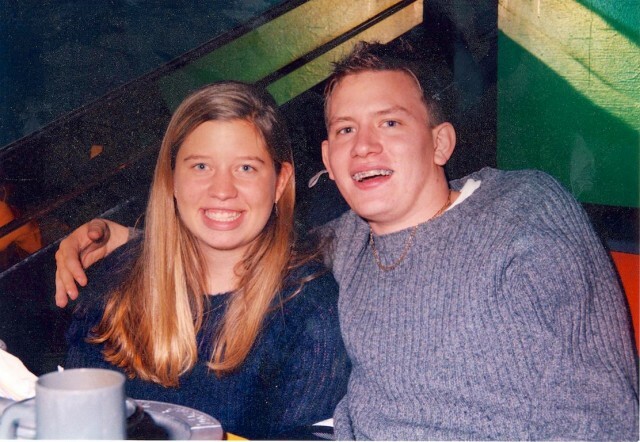 We were married just 4 months short of 20 years when he died of cancer by this time we had developed a deep and sincere love for each other, and would still be married today, but God had other plans for me. The children were by this time all grown up and left home. He had been a wonderful father to my children, given them a good education, seen them through their teen years etc. I was now all alone, I begged God to bring me a companion which he did, after 8 years. I eventually gave up asking and got very involved with church work, doing in all sorts of things that kept me busy. Then my miracle happened, one day an old school friend of mine who had been married to my husband’s brother came into my life again. While we talked I asked about my husband and his then wife, because I had actually lost my heart to him when I was 8 years old as he was my late brother’s best school friend. He at this time was married to another school friend of mine, who was very ill at the time, and was having trouble remember people, as I had not seen them for many years we decided that I wouldn’t go and see them, but would pray for them both, which we did,until one night whilst praying I was told “Be there for Hurley” it was only 2 days later that my friend phoned to tell me her sister-in-law had died the previous night they had been married 43 years. Then I phoned him, supported him and saved him from that terrible loneliness following the death of a loved one. Cutting a long story short again we married 7 months later and this time I married for me, because we really found a love I thought you only saw in movies, be both behaved like we were 16 again. He married me for me only and I as said before had carried a torch since I was 8. I have never been happier in my life, we have together grown spiritually tremendously over the almost 11 years we have been married. We share everything, my children love him, and he is a very loving grandpa to my grandchildren. If you have got this far I hope and pray that my story may bring you some comfort, it hasn’t been easy writing it all out again, but if it helps you, then it was well worth the effort. God Bless and guide you Casey, we will add you to our prayer list, just remember when you least expect it you will come across your soul mate, and may you find that your 2nd will in fact be a match made in heaven because God knew long before you were even thought of, who you would need one day. I am sorry this has taken so long but remember that I have squashed 50 years into this post. My hope and prayer for you is that you will soon meet your own soul mate ad live happily ever after. Please drop me a line to tell me when this happens. God Bless and Love you. Mary. Thanks for sharing this! I’m mom to an 11 year old girl with a chromosome deletion, 9 year old girl, 6 year old boy missing 1/2 his brain with CP, 3 year old girl, and soon to be mom of a 13 year old girl with CP. I’ve enjoyed your blog for a while now without commenting. My dream… to begin and run a non-profit that ill support an orphanage in Kigali, Rwanda for people with disabilities, and to eventually move my family there. Enjoyed your post so much!!! You have a beautiful family! I know God has big plans for you! Please continue to write your blogs, love reading them. God bless you and yours from Louisiana. My dream is that I get a lung transplant soon. It’s been 13 months on the list my disease is getting worse. So that’s my dream. Hi, Noahs dad! (and mom too)! I have 5 children myself, ranging in ages from 16years old to 15 months old, so it seems as though my first name is lost to time, and the world knows me as “Charles’ Mom or Mattigan’s mom” (Insert any of my childrens names here) anyway, your right I have recently become aware of some rather positive christian ppl who influence my life greatly. I hope that its alright to say that you and your openness with your life expeirences that you share with us, have helped transform the way that I do look at some things. I have had rather interesting expierences with christian ppl before, and following your blog and your facebook page, has been an amazing influence on my life. I have made some choices in the past that were not to smart (when I was rather young and not smart-my father called them learning expierences) but they tended to follow me (Not smart relationship choices) That being said, I want to share that I was driving home from work one morning (I work third shift) and I have to drive through a rather deep valley where tuning in a radio station is next to impossible and usually the only station that comes in is a country station. Country music is okay, but it really wouldnt be my first choice. I had been faced with making some rather difficult choices then (it was about 2-3 weeks before christmas) and I was very torn about what I should do and what the right thing to do is. The song by Carrie Underwood came on “Jesus take the wheel” and I remember looking at my 4 yr old and 15 month old asleep in the back seat in their car seats (I had picked them up from their dads) and just got tears in my eyes and as i looked up in the sky, I said “Listen I know I dont talk to you as much as I proably should, but I want to say this. Thank you for my gifts, my children. they are my world. But I need some help too. I cant do this by myself. I need some guidance and strength, to make the choices on whats right for my children. Please help me. I cant do this by myself.” And you no what, Rick? I got these goosebumps as I was finishing my little talk with God. And from that point on, I have been finding reserves and strengths that I didnt realize I had. I was able to make the choices that I needed to, for my children. We were amazingly blessed the week before christmas, too. And I think its cause I talked to God that day on my way home from work. Following your blog and following you guys on FB, I saw that it was okay to pray and ask for guidance and help, but to also thank Him for his blessings, too. We dont know what is in store for us, and your were right in this blog, today. when it seems as though the odds are against you, watch out cause God really likes it when the odds are a bit out there. So, in part, my dream? to somehow be an inspiration to someone like you were an inspiration to me. So, thanks for all the time and effort you put into your blog and that you put into FB. It really pays off. This is excellent news! We are very proud Papa Noah! The Lord bless you with his blessing! Yes circulate the limits of your own! Yes the Lord will protect you from all evil! I follow “Noah’s Dad” faithfully and daily on FB and was happy to learn more about the big guy in the cuteness pictures. I was delighted to learn that you are a pastor, but not all that surprised. Love and joy shine through the posts and in your smile, that transcend the ordinary. My DS grandson has shone on our lives for 16 yrs. and enlarged our hearts in a way that nothing else could have. I never knew it was physically possible to love so much. 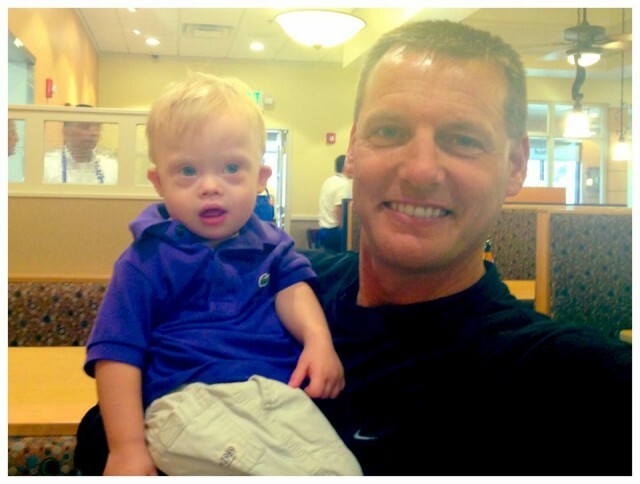 I see that same feeling posted by the parents on “Noah’s Dad.” God has indeed bestowed a great honor on all the parents of Down Syndrome children; He has trusted us with the care of His special treasures. Thanks for sharing your story Noah’s Dad!! What an awesome journey! Hi! 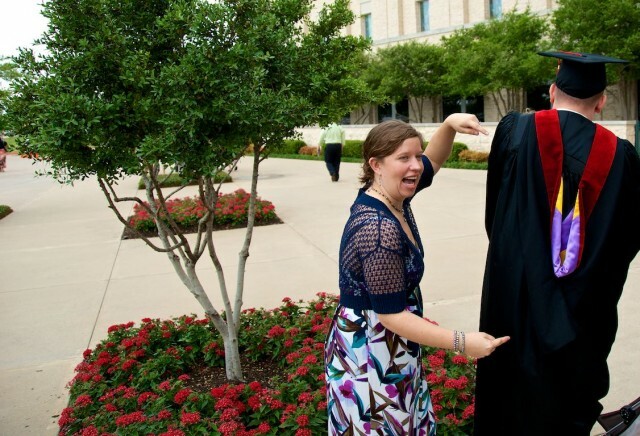 Love this post and wow to you went to seminary!! I am still your friend and I am Muslim and we share a common bond and that is my daughter, Fatima, has downs. Keep doing what you do because you guys are an inspiration!! First, let me apologize for judging you. I wrote a comment on FB yesterday questioning what you do while your wife seems to do the work. I am so sorry. I read this today and I realize that I am not perfect and sinned by judging you. Your story is very inspiring and I learned so much from it. I have been married almost 18 years with three boys and one preparing to be a doctor. I am a Christian, saved by the blood of Jesus. I will continue to read and support your family. Thank you for sharing all of this! I learned so much. Reading your story touched my heart and even made me cry. But don’t worry about that, it was a cleansing cry. I love following stories about Noah and am touched by the sincere love you have for your son and wife, your family. And by the way, your wife is a terrific lady. You two are so cute together. You all are a real blessing to others through your posts. Thank you so very much. This post really touched me and I can relate. This week I finished grad school at a prestigious university. I am graduating with honors and a 3.9 GPA. This is nothing short of a miracle. I am from an abusive home with an absent father and I also have a disability that went undiagnosed until I was 25. Starting around the time my dad left and my home situation got really rough, I started struggling in school. I was the kid that would get an A in one class and fail another. My teachers would get mad at me and shame me instead of asking what was going on at home. When I was 15, my English teacher told me that I couldn’t write, that I would never amount to anything, and that I would go nowhere in life. My senior year things were especially bad. I only showed up for school sometimes and spent most of my time driving around with my friends smoking pot and cigarettes. I failed English that spring, which disqualified me from graduation. I begged the school to let me just walk with my class so I could avoid the humiliation of being absent from graduation entirely (my school was very small), and my principal told me that I didn’t deserve to wear a graduation gown and that I didn’t even deserve to be on school property and threw me out of his office. The night of my graduation I was in a hospital room getting my stomach pumped because while my classmates were graduating I was swallowing a bottle of pills because I couldn’t stand the thought of having to stay in that little town and in that terrible house with my abusive mother for one more day, and I saw no way out. After I got out of the hospital, I applied to and was accepted by a university in New York City that had a conditional program for students who had high SAT scores but poor grades. My high school agreed to give me my degree if I completed one college English course, which I did. But, thanks to my undiagnosed disability, I still struggled in school and ended up failing out two years later. I would fail out of school two more times. In 2006 I finally got diagnosed properly and cut ties with my mother. After getting treated for my disability, I suddenly found that I was capable of excelling in school. I went part time to UMass Boston until I finally graduated in 2010, eleven years to the day after the day of my high school graduation when I tried to commit suicide. I couldn’t believe it when I was accepted to NYU two years later, and it still hasn’t sunk in that I am graduating on time, with honors, and a master’s degree just two years later. 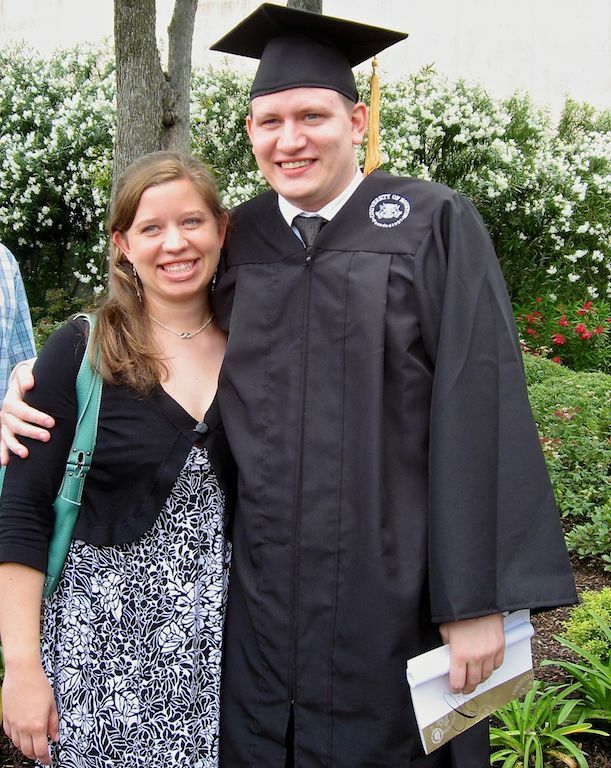 I worked full-time, and for a year I had two jobs, all the way through grad school. Most of my life I have been a waitress or a nanny. This degree moves me up in the world and qualifies me to do what I have been dreaming of for years. And what is that? Well, I am now an editor at a big publishing company in New York City. I make my living off of reading and writing, the subjects that kept me from graduating from high school. I am not a Christian, but I do believe in God, and I am so thankful for all He has done for me and all the love and blessings He has shown me. There is no way I would be standing here today without Him. I enjoy reading your posts and seeing pictures and stories of Noah and now Noah’s little brother, too. I really admire the love and support between you and your wife, too, and I hope someday I’ll find someone like that to share my life with and that I’ll be blessed with kids as wonderful as yours. Congratulations on your great accomplishment. You keep doing you and sharing your story. You and I have pretty much nothing in common, but your stories touch me, and for that, I thank you. First, I would like to say Congratulations to you on your accomplishments. I love reading about and seeing Noah’s pictures everyday!! They sure put a big smile on my face. Thanks for sharing him with us!! You asked about a dream. I am a single mom of 3 boys. My dream is to be able to own my own home. My kids and I have been kicked out of houses 3 times now just because the owner decides to sell. We are now on the verge of being kicked out again for the same reason. Just gets old after awhile. I am praying that the Lord will bless me this time around with the purchase of a home. I have been working very hard with trying to put away money for down payment, getting my credit cleared up when my divorce had shot that down the drain. It has been a very long hard road for us, but with the Lord’s help, we manage to get by somehow. I pray that one of these days, the Lord will bless me with a home so I don’t have to worry about where I may be tomorrow. I want a place to actually call home. Thanks again for sharing Noah’s pictures with us. He helps keep a smile on my face even when things aren’t going good. He is such an inspiration!!! Thank you for sharing personal information, but most importantly, sharing about the saving grace of our Father. 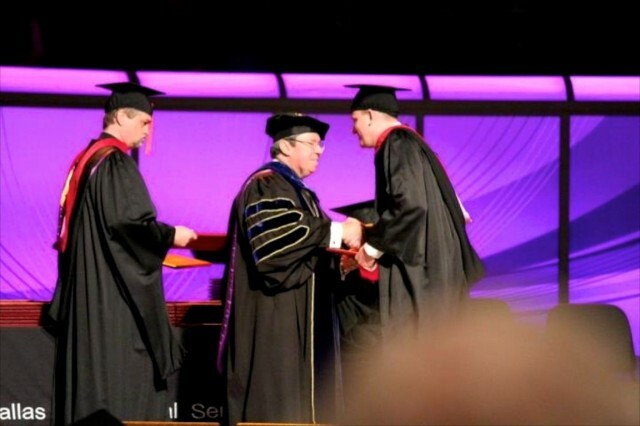 My dad was a pastor almost all of my life, and he was my role model and mentor. Our life was never “easy” in today’s standards, but we were truly blessed. I love seeing the pictures and reading the stories about your precious children and family. May God continue to bless you in all you do! Our granddaughter was born with Down and lived only 13 months. Your Facebook sharing has helped me. I love our Lord and trust him. I know that prayers are answered. Please pray for my son Mike that her find meaningful work and his way back to God. Hi! I follow your FB page everyday…always look forward to the pics…all of you are an inspiration…I never knew your background but..I guessed there was some sort of decency/spirituality about you…I am thrilled to know you are a grad od DTS…that u are a Pastor/Teacher….that you have an amazing relationship with Jesus!I have one also….I have been through much trials & hardships like u….really really hard…Jesus has delivered me through them all…..I am in a difficult one right now….my faith is being really tested…I am very low in spirit @ times…..even though I KNOW my God can do the impossible!! HE has proven Himself to me over & over again…..yet..I find myself wondering why? I would love to share my prayer requests with u in a personal message if you would allow me to…..I really need ur prayers! God Bless you & your precious family! What a true & powerful testimony of God’s Amazing Grace!! My dream. I really want to have a relationship with my mother with no negative comments. I visit with good intention but leave with tears and frustration. I always think and hope to have that one day. I’m not sure if this affects my relationship with my children, I hope not. My dad is Ill and I have a hard time going around to visit. It takes me a couple of weeks to grow the courage to visit. I have been told I’m a bad daughter and my mom doesn’t acknowledge us when we are around. She tells everyone she doesn’t have daughters. Words that never leave me. I just want a mom and a grandmother for my children. I dream of that and see other relationships and I want that. I really want it. I want to buy those hallmark cards that say all the sweet things your mom has done to make you who you are today. I want that!! My husband and I are Christians and have been for many years. Next month we will be celebrating our 46th wedding anniversary. Thanks again for sharing your story, I will be watching and reading all your stories whether it’s Noah, his dad, or his brother! 🙂 (Happy Mother’s Day to your wife)! I enjoyed reading you story,I believe in God ,it has been real hard lately.My Grandson passed away two years ago June the 16 th ,he was eight years old Nick was a football player ,a wrestler,played basketball,never a sick day.he had a blood vessel break in his brain and gone in a second.can you tell me why God let this happen. wonderful article. Be a writer. just clicked the link on Facebook, and read your blog for the first time. I was raised by Christian parents, a regular church attender since I was a baby. At times in my life, I have lost my way, and did this dramatically in 2002. There followed a decade of deep, sometimes suicidal depression, divorce ( after 26yrs marriage ), alcohol dependence, drug use, and dreadful feelings of guilt and worthlessness. I have to say that my vicar ( ‘High’ Church of England) where I was an active member, indeed a church warden at the time) was useless when I confided in her that I was experiencing marital problems. The following week, as I knelt at the altar rail, with my fellow church ‘family’, hands cupped to receive the Holy Sacrament, she refused to administer to me. This only served to fuel a downward spiral! Fortunately, after a dreadful decade, I have fully recovered, and live a happy, sober and ‘Godly’ life. I have strong spiritual beliefs, which have altered/developed over time. I thought my beliefs were unique to myself!! I have been AMAZED to discover recently, that Buddhism encompasses all that I believe, and the way I live my life. I have been unknowingly a ‘closet’ Buddhist all my life. NOAH’S DAD, if you would like to discuss this with me, I will explain further why I no longer refer to myself as a Christian. ‘The Christian Church’ turned their back on me, in my darkest hour. ‘MY GOD’ did not, and when I eventually listened, and did what I needed to do, I was able to turn my life around, and know I am forgiven. I am blessed to have four very supportive children, who despite my terrible life choices, during ‘the dark years’, never stopped supporting and loving me. Without them, I would have taken my life. When pregnant with my fourth child, I was told there was a 50% chance I was carrying a Down’s baby. There was enormous pressure from the medical profession and my husband, to have pre-natal diagnosis. I caved in, and had a CVB, knowing in my own heart I would NOT ABORT my child, whatever the results. I then lived in fear, for the rest of my pregnancy, that having had a CVB, there was a 1 in 6 chance I would miscarry my (non-Down’s) much loved daughter. Fortunately all went well for my pregnancy. I share this, only to explain my great interest in your beautiful family and that of other families who have been given a special child. I find your posts/blogs uplifting. Sorry for the long-winded comment. GOd is good and he is faithful. Your story will touch someone’s life. It may ever spur them on to a God filled life.. ride on King Jesus.